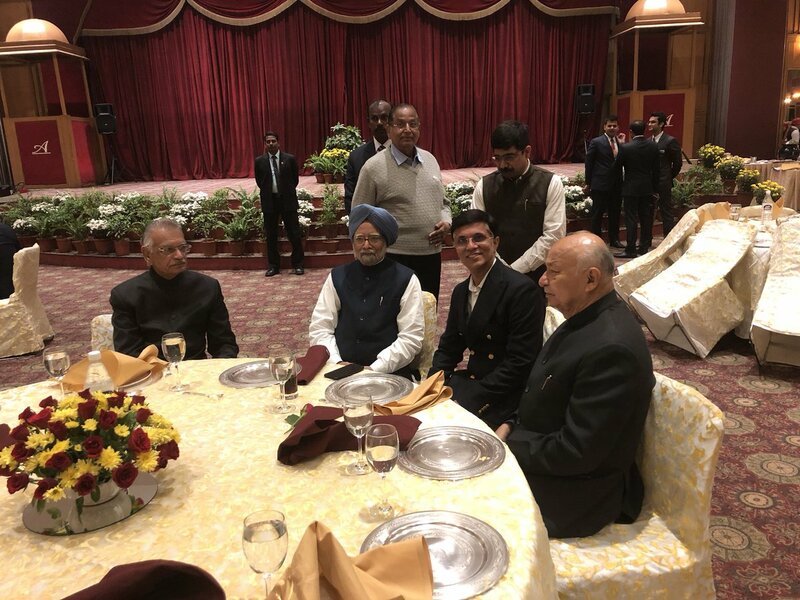 New Delhi, Dec 17: The Congress on Sunday evening hosted a dinner in honour of Sonia Gandhi, who stepped down on Saturday after 19 years as party chief, with the event being attended by leaders from 15 other opposition parties. 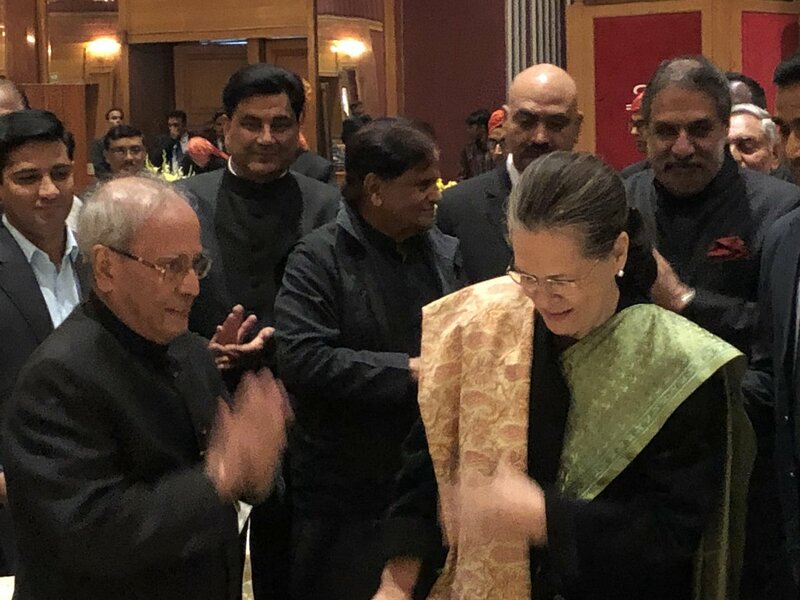 The dinner was also attended by former President Pranab Mukherjee who honoured Sonia Gandhi by presenting a shawl to her. Congress President Rahul Gandhi and former Prime Minister Manmohan Singh were among those present. Congress leaders from Punjab were patted by the central leadership over the party's sweep in the municipal polls in the state. All India Congress Committee office-bearers and MPs attended the dinner. "The dinner was attended by leaders of 15 other opposition parties," Congress leader Anand Sharma told IANS. Among those present were leaders from Trinamool Congress, the Communist Party of India, the Communist Party of India-Marxist, the Nationalist Congress Party and the National Conference.